Infuse a trait of responsibility in young students and their parents by handing them these personalized 3.5 x 4 inch elementary school calendar square corner magnets – 20 MIL on the beginning of the first school day. This magnet is sure to attract attention with its large size, full color printing, glossy finish and many other specialties. 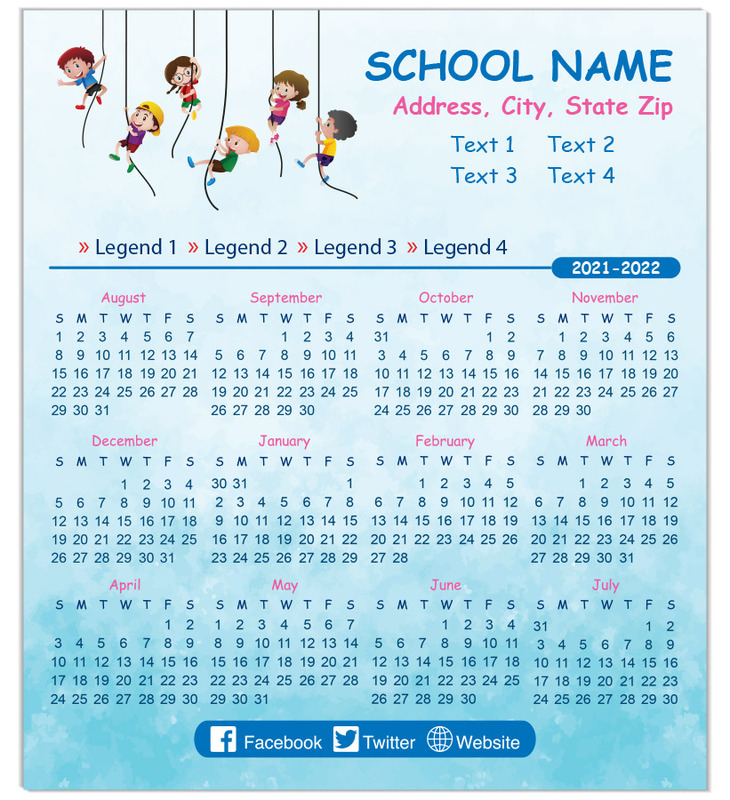 This calendar square corner magnet works perfect for elementary schools, play schools, and other educational services trying to build credibility and trust for their brand. 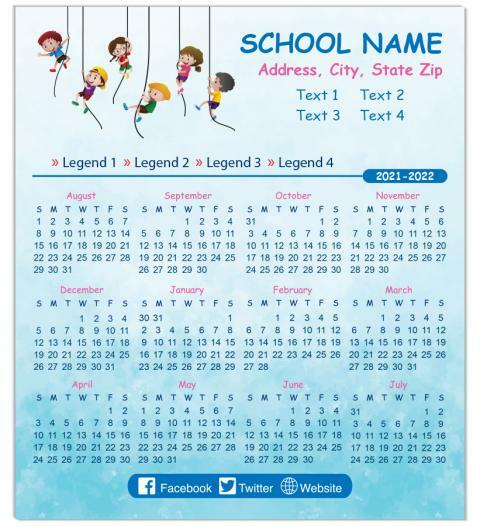 Request a quote to know discounts we may offer you on bulk orders of these custom 3.5 x 4 inches elementary school calendar square corner magnets – 20 MIL.